UT Southwestern offers state-of-the-art, multidisciplinary care to help hearts keep a healthy, steady beat. As a leading center for treating cardiac arrhythmias, we offer the latest treatments and technologies, tailored to a patient's particular condition. Our state-of-the-art ablation labs feature three-dimensional electroanatomic mapping to provide detailed real-time visualization of arrhythmias during diagnostic and interventional procedures. This allows patients to receive evaluation and treatments with virtually no radiation exposure. At UT Southwestern, our specialists are experts in minimally invasive procedures that treat heart rhythm disorders, including catheter ablation. We use advanced techniques such as pressure-sensitive catheters for heightened precision and cryoablation (freezing of excess heart cells). Our Heart Rhythm Management team is involved in numerous clinical trials of new treatments and devices, which means our patients have the first available access to novel technologies such as next-generation pacemakers and defibrillators. The heart’s upper chambers, or atria, serve as receptacles for blood, while the lower chambers, or ventricles, pump blood in and out of the heart. The heartbeat is created by an electrical impulse originating in the right atrium. The electrical activity spreads through the walls of the atria and causes them to contract, forcing blood into the ventricles. Arrhythmias, or disruptions in the normal heartbeat, are classified by the area of the heart in which they originate as well as by the type of abnormal heartbeat they cause, such as tachycardia (overly rapid heartbeat) or bradycardia (abnormally slow heartbeat). Atrial fibrillation (AFib) is a rapid, irregular heartbeat caused by chaotic electrical impulses in the heart’s atrium. It is estimated to affect as many as one in every 10 people age 65 and over. Atrial fibrillation may be temporary and even asymptomatic, but it can lead to serious complications such as stroke. Treatments include anticoagulation and left atrial occlusion devices to prevent strokes, and antiarrhythmic drugs and ablation to prevent atrial fibrillation. Atrial flutter is similar to AFib, but the abnormal heartbeat is more regular and can persist for many days or even weeks. In a small number of cases, atrial flutter results from ablation procedures for atrial fibrillation as the heart develops new electrical pathways to bypass the treated area. While atrial flutter may also lead to serious complications, curing the condition can be fairly straightforward. Supraventricular tachycardia includes arrhythmias originating in the upper chambers of the heart. An extra electrical pathway between the atria and the ventricles allows signals to bypass their normal route through the heart, causing abnormally rapid heartbeats. These are generally not life-threatening arrhythmias, but they can be quite irritating. Medical treatment or cardioversion therapy may be required to return the heart to its normal rhythm. Cure is often possible with ablation. In ventricular tachycardia, abnormal electrical signals in the ventricles prevent them from filling and pumping blood efficiently. Without prompt medical treatment, ventricular tachycardia may lead to ventricular fibrillation, a medical emergency that may lead to sudden death because the ventricles quiver chaotically and ineffectively instead of pumping blood. Hypertrophic cardiomyopathy (HCM) is an unusual but not uncommon cardiac genetic condition that causes a thickened heart muscle. It is the most common cause of sudden cardiac death in young people and in athletes. People with HCM are also at risk for atrial fibrillation and heart failure. Arrhythmogenic Right Ventricular Dysplasia (ARVD) is another cause of sudden cardiac death in athletes and other individuals. It is less common than hypertrophic cardiomyopathy. People with ARVD can also develop heart failure. Long QT syndrome raises an individual’s risk for fast, chaotic heartbeats that may cause fainting and can be life threatening. Though the syndrome is often congenital, it can also be caused by certain medications or other medical conditions. Bradycardias, or abnormally slow heartbeats, may be caused by conditions such as sick sinus syndrome, in which the heart’s sinus node does not send electrical impulses through the heart properly. The heart’s electrical pathways may also be blocked by damaged heart muscle, such as after a myocardial infarction. Risk factors for cardiac arrhythmias vary, depending on the particular type of rhythm disorder. Supraventricular tachycardia is caused by the development of an extra cluster of cells before birth. There is no known particular reason why this occurs, but it is not uncommon. Risk factors that contribute to atrial fibrillation are similar to those associated with other types of heart disease. Some of these, such as family history and age, are not modifiable. However, beneficial lifestyle changes to address risk factors for overall cardiac disease, such as obesity, sleep apnea, inactivity, diabetes, smoking, excessive alcohol consumption, and hypertension, can reduce the risk for AFib. Many people get occasional palpitations that may raise concerns about a possible heart rhythm disorder. Such palpitations may be caused by too much caffeine (including that found in chocolate), alcohol, nicotine, stress, exercise, dehydration, or by an abnormal heart rhythm. Even when palpitations are caused by a heart rhythm disorder, most aren’t dangerous. 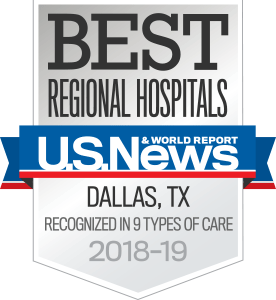 UT Southwestern’s multidisciplinary approach offers our patients the best opportunity for longer and healthier lives. Patients and their families receive clear, comprehensive information about the risks and benefits of all treatment options. 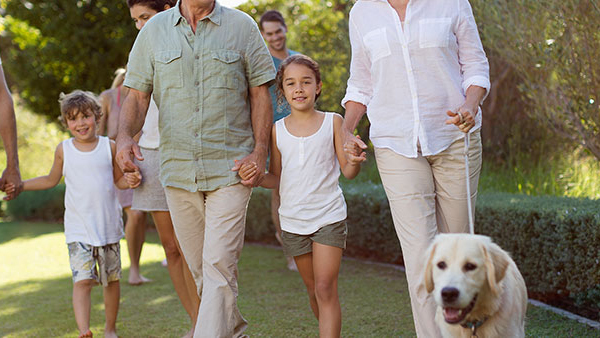 We then create a treatment plan tailored to each patient’s condition, needs, and goals. For some people with atrial fibrillation, a combination of medications or procedures may be needed to prevent rapid or slow heart rates, restore and maintain normal heart rhythm, and prevent strokes. Aggressive treatment of other health conditions that may contribute to heart arrhythmias or make them more dangerous, such as sleep apnea, diabetes, and hypertension, can also help improve the overall health of people with arrhythmias such as atrial fibrillation. Both implantable cardioverter defibrillators and pacemakers may get infected. Infected devices generally need removal. Removal of a device is much riskier than implantation. Surgeons and electrophysiologists at UT Southwestern have safely performed thousands of these removal procedures. After arrhythmia has been treated with medication, a surgical procedure, or both, follow-up care helps patients adhere to their post-treatment guidelines and ensure that recovery goes smoothly. Nurse practitioners with specialized training in electrophysiology and arrhythmias are available to provide monitoring and support and answer any questions patients may have. Team members work closely with patients to help them learn how to safely continue their fitness programs and make healthful lifestyle changes.